The traditional idea of the city – that of Amsterdam’s canals and later Berlage’s Plan Zuid, but also the modern idea of the city as became manifest in the Bijlmermeer – no longer exists. Under pressure from the market economy, the idea that architecture can serve the public interest has been undermined. Economic and private interests are rated more highly than cultural and collective values. Not only does the economic logic of property developers and investors determine the city’s landscape, the city council, too, acts as property developer and investor. In so doing, the government follows the market regime and the public task becomes a derivative of market-orientated thinking. While the Modern Movement sought to improve the world with its architecture primarily from a social perspective, today it is about plans that attempt to give the city a better competitive position vis-à-vis other cities in the world. And superarchitects – preferably with star status – are engaged in order to promote the economy of a city with a stunning design. In this century, most of us may then live in urbanized areas, but we have lost sight of what this urbanization really means or could mean for our civilization. The old values and maps with which we navigated in the past are no longer serviceable. 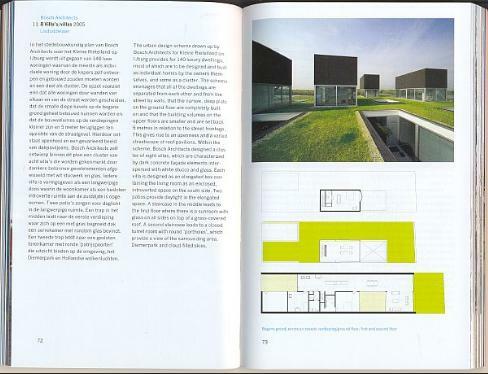 When Teun Koolhaas et al. build ‘Landje Roele’ in Amsterdam Noord and when Rob Krier builds the neo-historical housing complex ‘Meander’, they are realizing what the philosopher Frederic Jameson called a ‘nostalgia for the present’. A world is ‘reconstructed’ which we never actually lost. It may then look like the past, in reality it is nothing other than nostalgia without memory. There are, for example, Muslims who were born and bred here but who dream of a ‘homeland’ where they have never lived. They idealize a world that never existed, which really only exists in the here and now. Today in 2006, in the search for what can take the place of the world in the twenty-first century, zombie categories form the basis of thinking, actions and designing. This ARCAM POCKET does not so much document the second Golden Age of Amsterdam’s architecture (see ARCAM POCKET 2000-2002) as look at how the various architectural projects propagate a specific idea of the city, give shape to the non-city, play with the idea of the diffuse city. [More.... see PDF]. 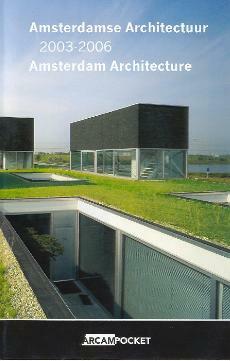 The ARCAM pocket "Amsterdam Architecture 2003-06' gives an overview of the projects built in Amsterdam in the period 2003-2006. A jury, comprising development adviser Eric Amory, architect Madeleine Maaskant and architectural theorist Roemer van Toorn, visited all of the buildings realized in this period and has selected 38. In an introduction, Roemer van Toorn describes what struck the jury during its tour of Amsterdam's latest buildings: the introverted residential environments, neo-historicism, gadget architecture, monumentality and the return of the urban block. Successful insertion projects in existing urban areas such as the nineteenth-century ring, the Westelijke Tuinsteden (western garden suburbs), the Bijlmer and North Amsterdam alternate with projects in new urban areas such as IJburg, the Zuidas (South Axis) and Oostelijke Handelskade. What is striking is the diversity of the projects, ranging from bridges to houses, and from offices to utility buildings.